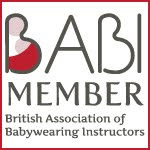 Helping Parents in the Manchester Area Learn the Art of Babywearing. We are streamlining our sling library and selling our stash of fabulous slings. If you'd like to grab a bargain - whether it's an everyday essential carrier, or a luxury sling - check our sling sale page! Now the moment you've all been waiting for: The Sling School Library Open Day! Come along on Monday the 16th of July, from 10.00 to 11.30, at Cheshire Health and Fitness Studio, in the heart of Cheadle Village. You can browse our wide selection of slings. Whether you are looking to snuggle up with your new baby, sling your curious 4-month old, carry your busy toddler on your back, or rent something beautiful for a special occasion, you are sure to find something to suit you. And we will provide refreshments! So, whether you are after information on babywearing, want to see what slings look like, or have a definite sling in mind you would like to hire, come and join us! Please bring your chequebook, as we require a returnable deposit cheque on all slings for hire. We ask for a £1 donation towards refreshments. If driving, there is a cheap car park (30p for 2 hrs) nearby. The entrance to the studio is on Massie Street, next to The Carphone Warehouse. Please leave your buggy in the reception area and come upstairs. A recent controversial article on breastfeeding and this excellent repartie have put the focus firmly on breastmilk's nutritional value. There is no reference to how breastfeeding shapes the mother-baby relationship and the impact that lack of breastfeeding must have on the development of this relationship. I have this friend, whose life these past three years has been shaken, in such a sad way. She has touched many of those around her. My friend has lost a child. She then went on to have a healthy baby, who she could not breastfeed. Instead, she bottlenurses: she cradles her child against her breast and feeds him her expressed breastmilk or cow's milk with a bottle. This is a woman who breastfed each of her other living children up to 4 years. She is acutely aware of what she is missing out on by not breastfeeding: the touch, the attuning, the reflex, the comfort (both ways), the instinct, the connection. She admits to making a conscious effort to be physically close to her child, to replicate what would have otherwise been "automatic". She has found babywearing and co-sleeping particularly helpful. An emphasis on the mechanical aspect of breastfeeding and the milk's nutritional aspect can overshadow its other crucial aspect: the infant-mother relationship. I have no pretension of putting it any better than those who have looked at this topic extensively. So, here is an excerpt of Ashley Montagu: A Brief Synopsis of his Contributions to Healthy Human Nurturing, an essay by Dr. Mizin Kawasaki. The following paragraph eloquently says it all. 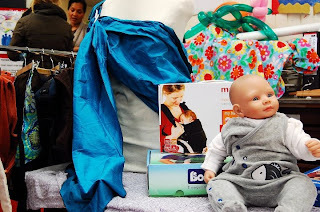 The mechanical aspect of breastfeeding sometimes overshadows the art of nursing and may undermine the human element behind breastfeeding: the mother-infant relationship. With respect to breastfeeding, nursing mothers are not merely repositories of milk but the providers of the warmth, love, responsiveness, and touching that enable infants to learn to love as they are loved. What makes us human is the relationship of mutually beneficial love that exists between individuals, and nothing exemplifies this better than a loving, breastfeeding mother-infant dyad. Recently, Hello Magazine featured an article on French actress Marion Cotillard carrying her son in a sling. Despite the sensationalist title, I thought the article itself was well-balanced and informative. The last sentence in the article said: "A child should be carried on your back when he or she weighs over 17 pounds". This sentence has since been removed from the article. Why? Could this have anything to do with the uproar elicited by this sentence in some members of the babywearing community? Of course a blanket rule is unhelpful. If a mother is told that she can no longer carry her 17-pounder on the front, then many mothers would stop carrying their babies altogether past the age of 4 months, or even earlier. This would indeed be a great shame. Rather than a "use by date" for front carrying, I think there is a "best before date". 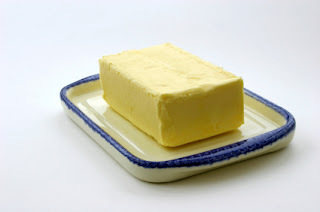 Take a packet of butter. Its quality is guaranteed before the best-buy date; this does not mean it will go off on that exact same day. Chances are it will be absolutely fine for some time still, though the consumer should exercise common sense (smell and taste) to judge whether the butter is still good. Same goes for babywearing. It is best to switch to back carrying as soon as possible, feasible and safe for both mother and baby. The 17 lbs cut-off weight could be seen as a best-before weight. Experts agree that it is best to carry a baby on the back, in order to protect the perineum and strengthen back and tummy muscles. Carrying baby on the back alleviates the pressure on the perineum and strengthens core muscles by redressing the mother's posture. Back carrying requires practice, patience and perseverance. One cannot be expected to master it overnight. However, if the mother is aware that this is best for her posture and pelvic floor muscles, I am sure she will find enough motivation to master this most fantastic skill.